HomeSamoilA book about Greeks and Macedonians, published in Venice 1532 – Were Alexander the Great and Samoil the Emperor speaking the same language? In this very interesting book which is kept in the National Library “Saint Clement from Ohrid” Prof. Vinko Pribojevic, using a great number of quotes from Greek and Latin writers, claims that the Macedonians had always spoken the language they spoke in 1525, at the time of writing the book. According to him, the Macedonians lived in this region in the 16th century, as well as all the preceding centuries. Vinko Pribojevic was a very educated man for his time, a great connoisseur of the ancient, classic history. He was born on the island of Hvar, where he finished elementary school. He started studying theology and went on specialization in Italy and later became one of the most prominent theology professors at the time. As he knew the history of the Balkan Peninsula, which he called Macedonian Peninsula, very well, in his book Pribojevic used a great number of source information that he collected in libraries, archives and Dominican monasteries. That is why, in his introductory addressing to his friend Petar, Patrician and commander of Gaul, who probably paid the printing of the book, he asked that the book was “published for the benefit of all, without deleting the quotes from the writers that are noted parallel with the main text”. According to the quotes and what the professor discovered through his researches based on the differences in the speech between the Macedonians and the Greeks, it is very clear that there is no way that the Macedonians could be Greeks as they don’t know that language and have always known their own, Macedonian language. Pribojevic said in his book that Thucydides himself claimed that “Macedonia covers the areas from Byzantium, Thrace, Misia and Illyria” and “the difference between the Greeks and Macedonians can be seen immediately from their character and way of life and it is because of such an opposite in characters and customs it can be concluded that the Greeks and Macedonians are not the same people”. Did the ancient and medieval Macedonians speak the same language? In this very interesting book about Macedonia and the Macedonians, Prof. Vinko Pribojevic, using a great number of quotes from Greek and Latin writers, claims that the Macedonians had always spoken the language they spoke in 1525, at the time of writing the book. According to him, the Macedonians lived in this region in the 16th century, as well as all the preceding centuries. This claim by Pribojevic didn’t go well with the Macedonian fifth column, which claimed that there was a great gap without Macedonians – from the time of Paul the Apostle to the book by Krste Petkov Misirkov from 1903, meaning that the Macedonians disappeared along with their language, customs, tradition and history. 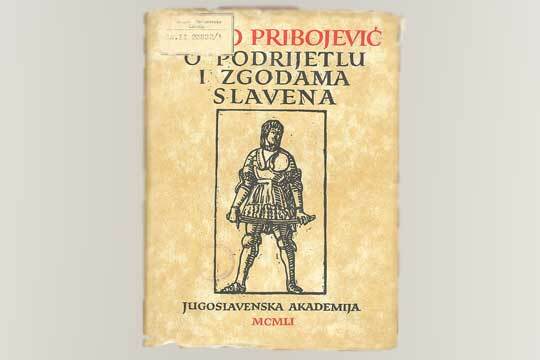 Pribojevic’s book from 1525 is a proof that that notion was a lie made by those that never felt as Macedonians. He claims that at the time when he lived, the Macedonians spoke “the same language as they did 1500 years before that, when the Greeks could not understand them so a translation was necessary”. The professor from Venice from the 16th century said: “As an objection to the claim by some writers that the Macedonians should be considered Greeks, I would like to bring out an opinion by Quintus Curtius in his book “The work of Alexander the Great”. He could make a clear difference between the Macedonian and the Greek languages and it was also very clear that Alexander’s army could not understand the Macedonian speech because part of it was Greek. When Philota, son of Parmenion, had to defend himself in front of the Macedonian parliament, Alexander told him: “Philota, the Macedonians are going to pronounce a sentence; I want to know whether you will talk on your mother tongue” to which Philota said no because not everybody would be able to understand him. Then Alexander said that Philota hated his mother tongue. If the Macedonians were Greeks then this wouldn’t have been a problem because they would all speak the same language. 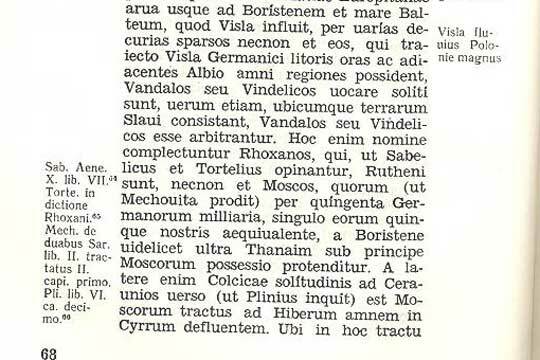 The fact that the Macedonians’ mother tongue differed from the language spoken by the Greeks in Alexander’s army clearly indicates that the Macedonians never felt as Greeks because the affiliation of one nation is best proved with the uniqueness of the language, as Pribojevic said, so “we consider the people as members of a certain nation that took the mother tongue together with the mother’s milk from the earliest age”. If the Macedonians and the Greeks were the same people, then there was no need for Alexander the Great to call himself King of the Macedonians and the Greeks, but just King of the Greeks. 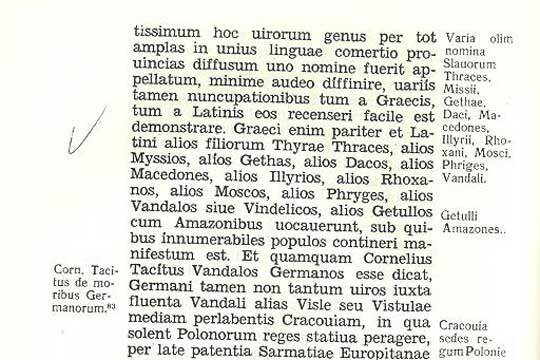 In his five-century old book Pribojevic says that because the Macedonians have their own language, which didn’t just fall from the sky, it is clear that they have always spoken the same language. If that was true in 1525, when the book was written, then it is very probable that Alexander and Samoil spoke the same language. According to Pribojevic, Alexander, Samoil and Saint Clement would have no problem understanding each other in their mother tongue in 1525. Were there no writers to truly depict the deeds of the Macedonians? According to Pribojevic, “there were no writers to truly depict the deeds of the Macedonians”, so “a great part of their oldest history after Alexander the Great remained unknown”. He also wrote that even though it may be strange, but the truth was that the Turkish sultan had great respect for the Macedonian people, which is why nearly all main commanders of the army were Macedonians and he formed a strong squad made of 20.000 people as his personal guard. The Romans were making up provinces just to erase the name Macedonia! Pribojevic used hundreds of quotes and names of authors in his book as source to back up his thesis about the interrupted history of the people that allegedly settled in the Balkan Peninsula during the 6th century. According to him, the so-called Slavs have always been here, albeit under different names, and the move was made up simply to annul the continuity of the survival of the ancient nation through the centuries. To him, all the divisions in this part of Europe were made just to annul the autochthony of the people that lived in this region for thousands of years. Even though Macedonia didn’t exist as a country at the time, the borders were remembered as Macedonia’s borders. An interesting thing about Pribojevic’s book is that there is no mention of Bulgaria and the Bulgarians as part of the so-called Slavs on the Macedonian Peninsula. Actually, there is only one reference that “the whole land all the way to the Black Sea is a Macedonian land that was later named with different names to cover up the track of the truth about Macedonia”. A sample of Vinko Pribojevic’s book was found in 1922 by the academician Novak Grga, who was a member of the Yugoslav Academy of Arts and Sciences in Zagreb in 1951. Thanks to him, the book was published for the first and last time in two languages – the Latin original that was published in Venice in 1532 and the translation to Serbo-Croatian from 1951. The National Library in Skopje got the book in 1952 and according to the stamps on the first page it was registered three times – 1957, 1965 and 2002 - through revisions of the library fund. According to academician Novak Grga, the work of Vinko Pribojevic in its conception and views is of “epochal importance because it discovers important suppressed facts about the glory of the so-called Slavs” on the Balkans. Therefore, Pribojevic’s work is one of the most important works of the Balkan historiography and deserves a special place in the international historiography. The Pope ordered the burning of the book that used Pribojevic’s quotes! What is very interesting is that Vinko Pribojevic and his book about the Macedonians and their history which was printed in 1532 had a great influence on Mauro Orbini, who accepted his theses and published his book in Rome in 1544. Unfortunately, the book was immediately forbidden and the Pope ordered to burn it to the last copy. However, one copy was somehow saved so Orbini’s work was re-published in 1601 and all main directions from the book of Pribojevis were elaborated in it. In any case, as Grga said, Pribojevic was a great patriot who was the first to set forth the conception about the greatness of the Macedonians and the people from the Macedonian Peninsula from the ancient time to mid-16th century, while also persisting on scientifically proving it. How much he succeeded and how much his book can be considered scientific is for the science to prove and the only copy of the book still exists in the National Library “Saint Clement of Ohrid” in Skopje.